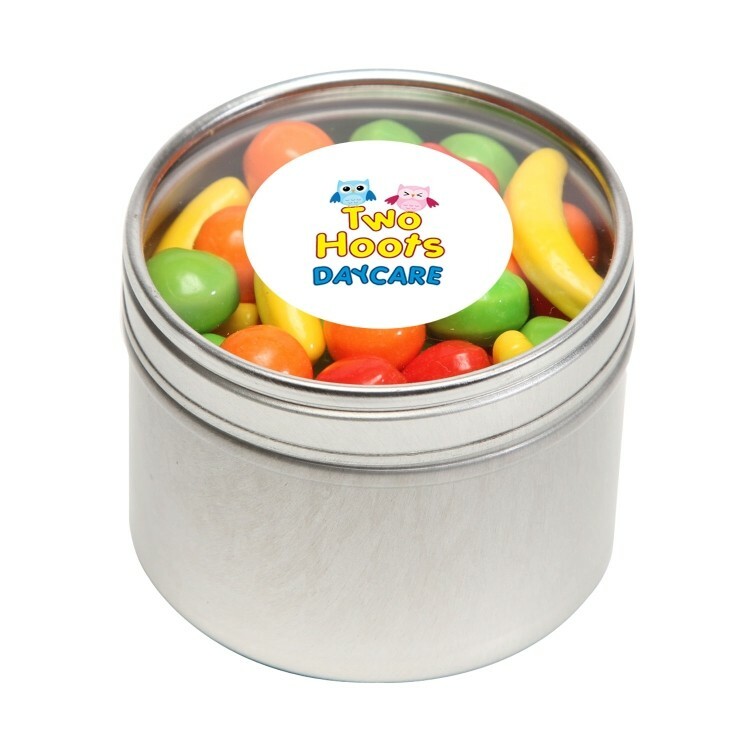 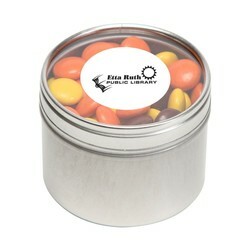 Our Round Window Tins serve to highlight the 4 ounces of M&Ms and your logo at the same time. They are perfect for continued use after you have enjoyed the candy. Just fill them with paper clips or other small items and your logo will live on indefinitely.When warm weather conditions apply, some perishable items require special packaging. 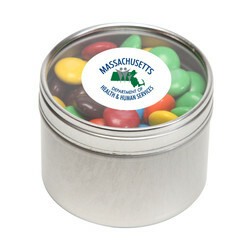 Transit time for these conditions must be 2 days or less. 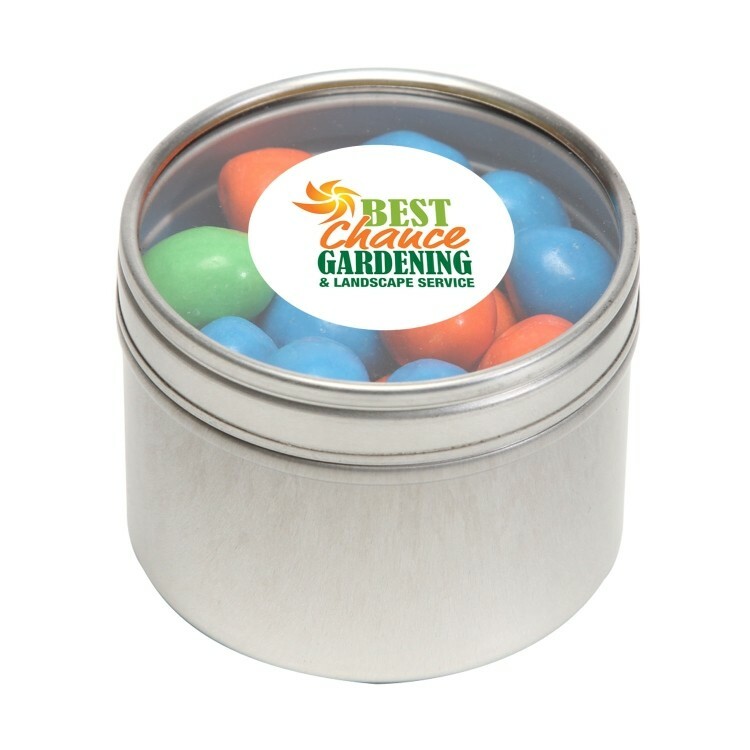 Please contact Customer Service for details and an applicable freight quote.Our warm weather packaging consists of: Foil insulated sheets in corrugated box with cold packs for $14.99 (transit time must be 2 days or less). 2.125" x 1.875" x 2.125"